Bestow tournament winners with our Linkster award. 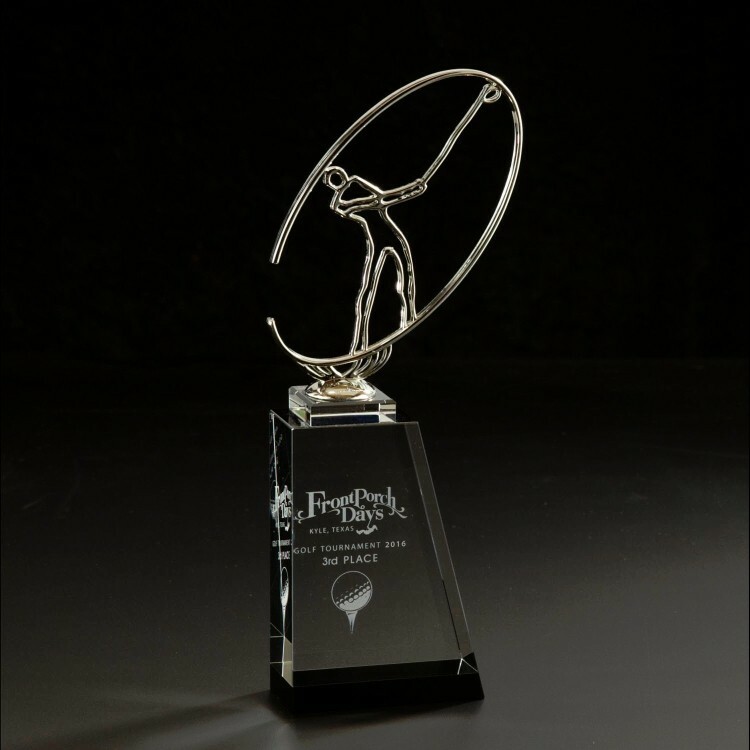 This beautiful award features an optically perfect clear and black base with a swinging metal golfer on top. 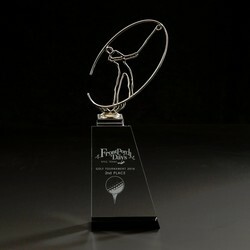 Prominently display your logo and the recipient's name to stand out when placed on any surface. 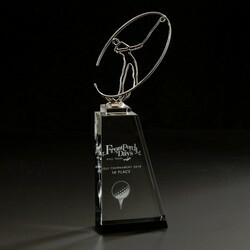 This wonderful product will provide ample pride for your top 3 finishers. 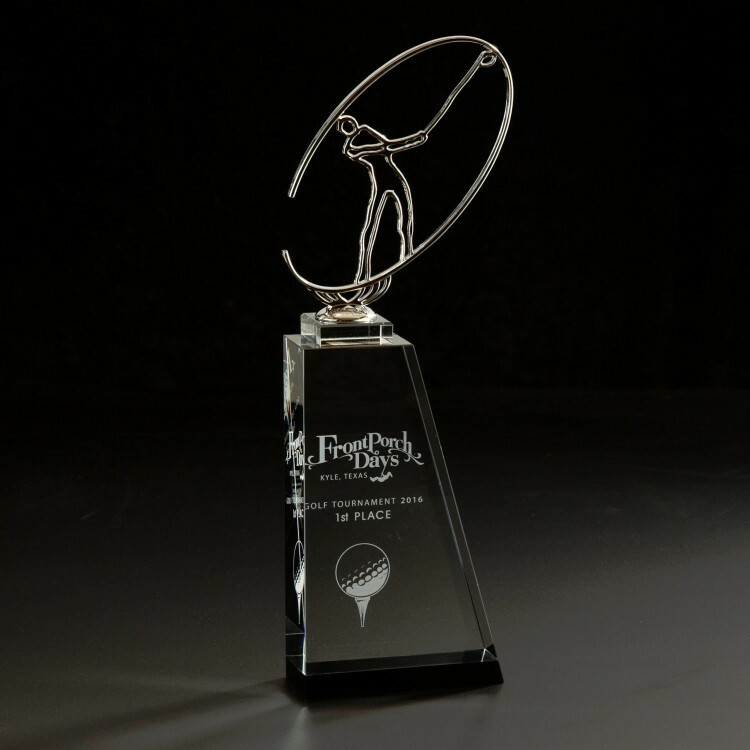 Enhance an upcoming fundraiser or charity outing by ordering this unique award today. 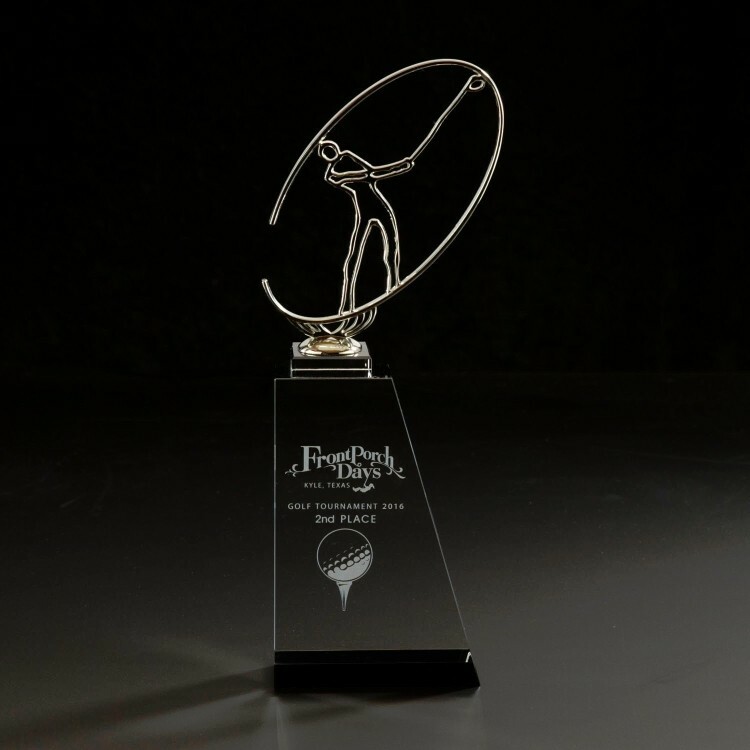 5" x 10.5" x 1.5"
Product Highlights: Optically Perfect clear and black base with swinging metal golfer on top provideample pride for your top finishers.